From time to time, the fates conspire against us all and the absence of our last show of the series and the delay in the start of UKCLBP (as I am now calling it) is testament to this. We don't generally take a series break as you know but we need one at the moment. and we think that one of our number might actually have been abducted by a Ministry of Justice hitsquad. So, please accept our apologies and know that when UKCLBP (it'll catch on..) comes back next week, all will be well with the world of legal podcasting once more. 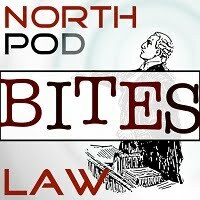 In the meantime, we are thinking of doing a mailbag episode of Northpod Law. If you have a burning question for any of us, now is the time to send it in. mail@northpod.co.uk will do nicely.